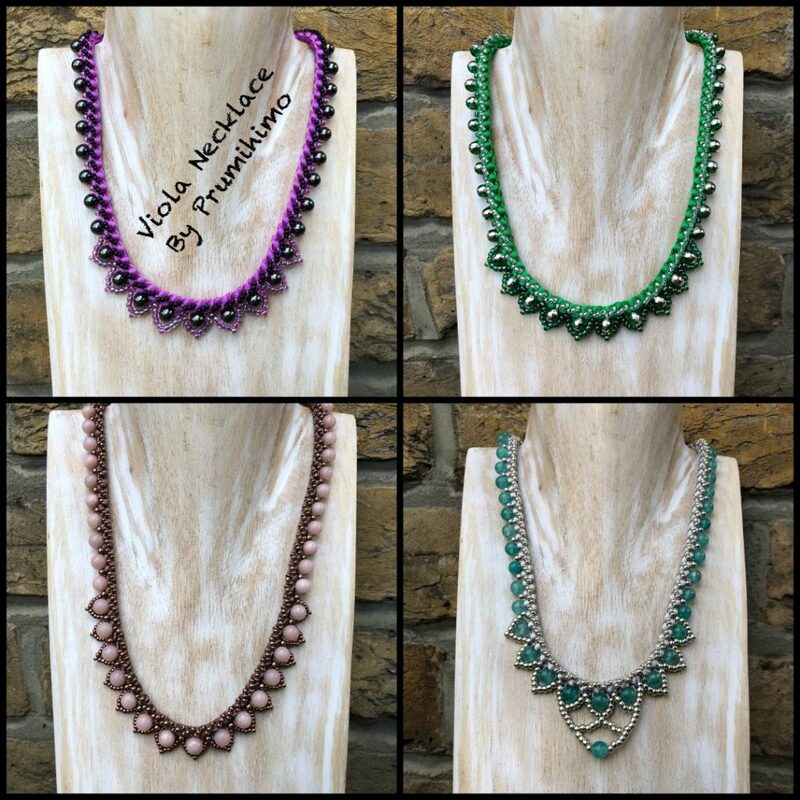 Downloadable tutorial with step-by-step instructions on how to make an intricate and attractive necklace using the Prumi-stitch method of adding embellishment to braids made on the Prumihimo Disk. This tutorial includes two different techniques for adding post braiding embellishment to a beaded braid. 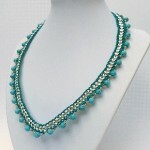 This is the first necklace tutorial in the Prumi-stitch series of designs. Prumi-stitch is the name given to the combination of braiding on the Prumihimo Disk and embellishing the braid with bead stitching. 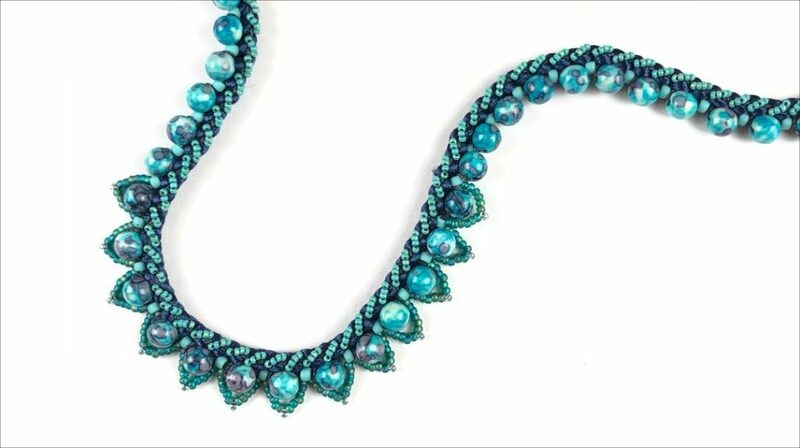 This tutorial will guide you through two different embellishment techniques, using a beading needle and thread, to make a striking necklace, which combines the very best of stitiching and braiding. In this design the embellishment is worked on both the front and one side of the braid, creating an intricate and delicate effect, with a smooth inner surface to necklace, for comfortable wear. 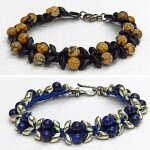 The design is very versatile and can easily be adapted to different beads and cords. Advice on how to do this is included. 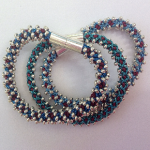 No prior experience of bead stitching is required, but it is not adviseable to attempt this design before you have practised braiding with the Prumihimo disk and can braid confidently and accurately.